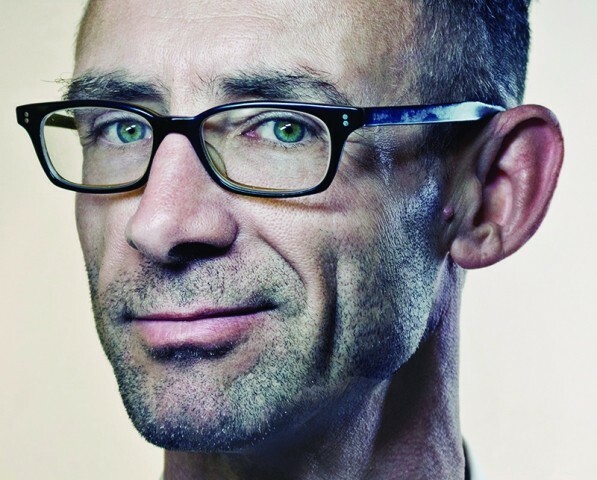 Chuck Palahniuk is an American novelist and freelance journalist who is best known for the film adaptations of his books Choke and Fight Club. On the heels of the release of his 14th novel, Beautiful You, Palahniuk sat down with SLUG to chat about James Franco, Comic Cons and becoming a graphic novelist for his next project Fight Club 2. Palahniuk will be in town at the Union Ballroom on Oct. 29, courtesy of The King’s English Book Store, for anyone who would like to witness his crazy antics in person and wear pajamas as an adult. SLUG: I do a lot of volunteer work and recently I was helping with Salt Lake Comic Con. I was maintaining one of the lines for the celebrities and chatting with the people in the line while they waited and they asked me if there was any celebrity I would wait in line for. When I mentioned your name, everyone got excited and started talking about how cool it would be if you did a Comic Con. Hearing all these people in costumes talk about Diary and Lullaby was one of the most entertaining moments of my life. So, on behalf of them, would you ever do a Comic Con outside of San Diego, like Salt Lake City perhaps? 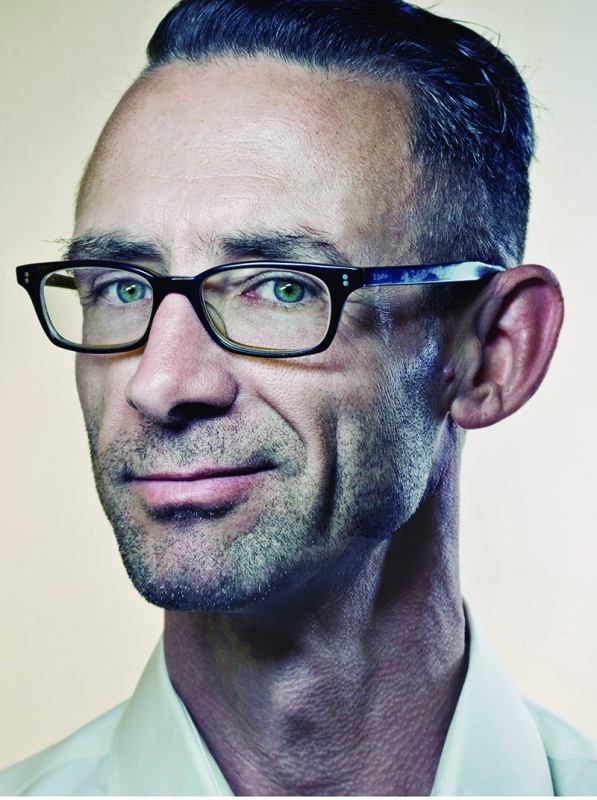 Chuck Palahniuk: You know, to tell the truth, my next year is slated for one Comic Con after another. Dark Horse is gonna send me to as many as I can stomach. SLUG: And that’s because of the Fight Club 2 graphic novel, correct? How was it transitioning from novels to graphic novels? Palahniuk: Yes it is, I thought it was easy at first, but then I realized I was doing it completely wrong. I was writing way too much dialogue. I was pacing my action to account for panels. I wasn’t taking into account structural necessities like “page turn reveal” where something has to happen in the lower-right-hand corner of the right-hand page. I had to learn that the only chance you have to surprise someone is when they turn the page and see that upper-left-hand panel. SLUG: I imagine you had to work really close with the artist. Palahniuk: With the artist and editor. Scott Allie, my editor, was a prince about teaching me this whole new skill. SLUG: Well you definitely have a fanbase in Comic Con. People went nuts when I mentioned you and the Comic Con in general is fun. You’ll have a good time. Palahniuk: I’m looking forward to it, too, because as it is with book tours, it’s late night after late night, and it gets sort of grueling that way. At Comic Con you get to relax, because it’s during the day and everybody’s excited. It’s a better form of touring for me. SLUG: I read in a blog that you describe your new book, Beautiful You, as a “gonzo erotica.” Is that gonzo in the same sense Hunter S. Thompson used it? Palahniuk: I’m not sure if it’s in the same sense he used it but I use it in a tongue-in-cheek sense—erotica, but it’s not written to be sexually arousing. It’s kind of written in a wrong way. It’s fantastically sexual content, but it’s not arousing. The book wasn’t written to excite people; it was written to make them laugh. SLUG: I know that with your novels, a lot of the ideas, if not all of them, come from some type entertaining or unresolved story in your life that triggers a thought you can elaborate on. Is anything like that going on with you right now? Palahniuk: I tell you, right now, I want to be writing a sequel to Beautiful You, so I’m sort of casting around to see what the sequel will be. Another thing I’m excited about is if James Franco goes into production with my novel Rant—I get to do a graphic novel sequel with Dark Horse Comics. SLUG: How do you feel about James Franco doing Rant? Palahniuk: Oh my God, what a charmed life I live. I got to work with Brad Pitt, Edward Norton, Sam Rockwell and now James Franco. I mean jeez, what a lineup. SLUG: Do you think his comedic chops will help in the role? Palahniuk: I think so, but I think, better than that, he’s a crazy person. He has that type of controlled craziness that can play that wild-man character, that half-animal half-human-being role. SLUG: I heard in an interview that you suggested a good way to get over writer’s block was to test your story at a party and see if it was something people could relate to or if the story would catch on. Initially, I thought this was great advice, but then I thought, “Did Chuck test his stories at parties? How did your stories go over at parties, considering the content therein? Palahniuk: Usually, I test them in workshop or on my fellow writers. I put the premise out, or a chapter or a scene or a story and present it in workshop, and if their jaws drop and they say things like, “This is fantastic,” then I know it’s something to pursue. When I’m gathering material, I’ll use this kind of little-fish fishing method where I’ll throw out an anecdote from my life as a kind of bate hoping to catch a bigger fish. SLUG: After college you were a journalist for a little bit. What made you want to transition from being a journalist to writing that first book? Palahniuk: You know, the journalism was right after college. I was working for a community newspaper, making 5 dollars an hour, and I just couldn’t pay my bills. I had huge student loans and a car I bought in high school to pay for, and so I had to say goodbye to journalism and go to Freightliner. At Freightliner, I worked on the assembly line and made 17 dollars an hour, and it gave me a lot of time to think. I was able to take some writers courses from some of the local writers here in Portland. That’s what got me writing fiction. SLUG: I heard that you’d written some of the repair manuals for Freightliner. Palahniuk: Yes, ha ha … There was a huge TRW steering gear recall in probably the mid-to-late ‘90s and I wrote all recall and repair procedures for that. They toured me around the country to teach everyone. It was my masterpiece. SLUG: What authors would you suggest to readers after they have entered the world of Chuck Palahniuk? Palahniuk: Monica Drake’s Clown Girl has become almost a cult classic and is always on the verge of becoming a movie. She toured with me last year and had audiences laughing till I thought they were going to throw up. She is so funny in such a low-key, almost unintentional way. SLUG: You mentioned before that the reason you’ve written some stories is because you didn’t want them to be forgotten. Now, the way things are currently with self-publishing/broadcasting and one-armed self portraits all being forever recorded on the Internet; is any story really being forgotten anymore, and if that’s the case, do you see a story in that as well? Palahniuk: Well, the stories I’m talking about are these offhand, intimate stories that get passed to me in an email or social outing, and they’re so good, I feel I have to honor it by turning it into something that will be preserved. The stories you see on the Internet or on TV are so dried out and tasteless. The best stories are the stories you hear from people. SLUG: Well we’re all excited to have you back in Utah later this month at the Union Ballroom for your new book Beautiful You. Is there anything you’d like to tell your Utah fans before coming out? Do we need to brace for trivia and stuffed animals? Palahniuk: Yes, bring Sharpies and be prepared to inflate stuff. Also, wear pajamas. SLUG: Pajamas, sharpies and inflation prep—got it. I actually have Capt. Kirk pajamas with booties. So thanks for chatting with us, Chuck. Safe travels. Palahniuk: It was good talking with you. I hope to see you all there in pajamas … with booties.